The fall season is fully upon us and the holiday season has arrived. Rotary International places its focus for the month on The Rotary Foundation. District 7475 is deeply engaged in Foundation activities with active Global Grants, prospective Global Grants, the distribution of over $60,000 in District Grants and a traditional party to enhance Annual Fund support, "Eat, Drink, and Share." On November 12th more than 300 District 7475 Rotarians and friends gathered at The Pines Manor in Edison for a wonderful evening of food, fellowship and support for the Annual Fund. 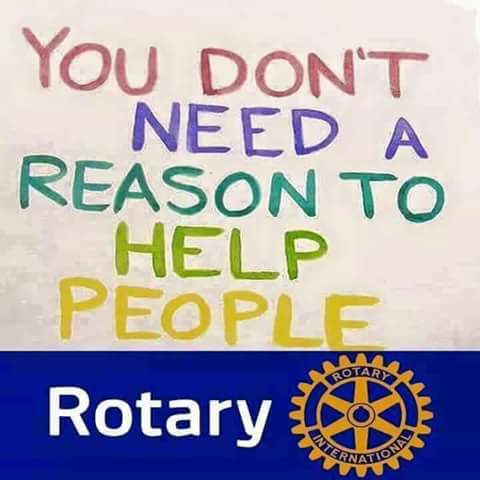 While the final results are not in it looks like more than $45,000 was donated to support The Rotary Foundation, about 19 percent of our goal for the 2018-2019 year. Kudos to DGE Ray Freaney and his team for an excellent version of this tradition that District 7510 inaugurated 22 years ago. Since we are talking about The Foundation, they have announced the top performing clubs last year in both prior districts. Belvidere and Woodbridge-Perth Amboy topped the list for Annual Fund Per Capita support. Berkeley Heights and Netcong-Stanhope (now The Skylands) placed second. The third place was shared by Branchville and the Somerville-Bridgewater Rotary Club. All of these top performers had more that $200 per capita in support. Five clubs were singled out for 100% of their members contributing to TRF. They include Berkeley Heights, Fanwood-Scotch Plains, Livingston Sunrise, Princeton Corridor and Whitehouse. Four of the five also were cited for meeting the “Every Rotarian, Every Year” criteria. Let the competition to get on the list this year begin. I have now made it to 64 of the 87 clubs and am working diligently to complete the schedule by the end of January. Meeting the club members is a special gift for a district governor. Everyone has been so welcoming and warm. I continue to learn about the commitment of the Rotarians in District 7475. The visits certainly inspire me to make sure our merged district adds value for all our members. Best wishes to all the Rotarians and their families for a Happy and Healthy Thanksgiving as well as for a joyous holiday season. Thank you for being the inspiration.